Born in 1969, Madeleine Floyd studied Fine Art and Illustration at Camberwell College of Art, and has achieved great success in both fields. Madeleine Floyd works from her studio in London and is fast becoming one of Britain's best-loved artists. Madeleine Floyd's creative talent is one of remarkable depth and variety. Madeleine Floyd paints, she draws, she writes and she illustrates. 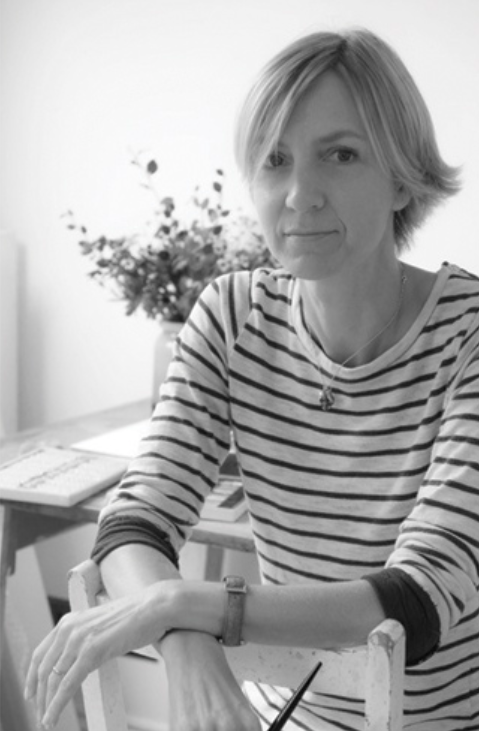 This versatility allows Madeleine Floyd to produce hugely successful exhibitions, and write and illustrate her own books including the recent classic 'Birdsong', published by Anova Books. With only a dip pen and a pot of ink she is able to capture the essence of a subject with the most minimal and elegant use of line. Her work is both accessible and sophisticated, immediate and engaging. This collection of prints celebrates one of Madeleine's great passions – British birds; their songs, characters and diversity. "Why do birds sing? I would love to know for sure? In fact I lie: I'm delighted that we don't know for sure and I hope we never become so informed as to fully understand that mystery. I like to think birds sing for the same reason that they fly, quite simply because they can. I hope we can take inspiration from their simplicity, and as humans do what we can with what we have, and if we feel moved to warble along in life, all the better."